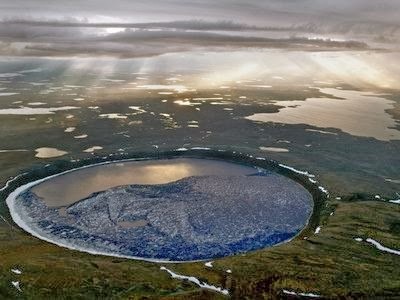 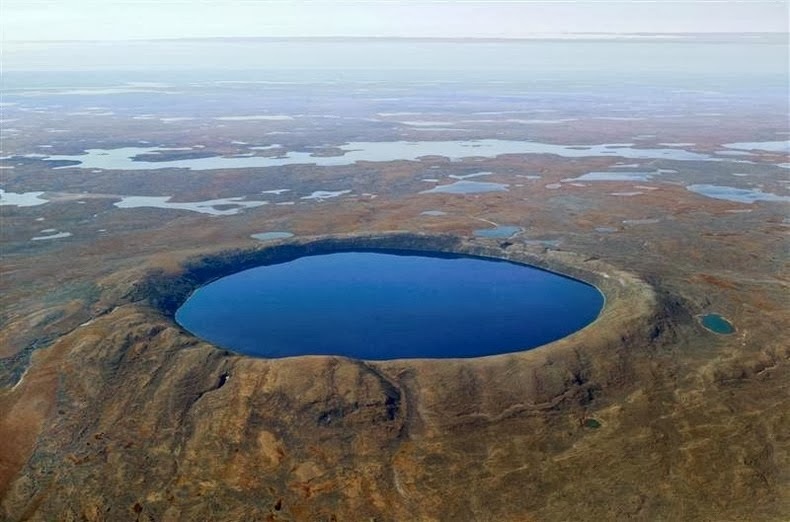 In the far north of Quebec, a province in Canada, lies an excellent natural wonder a circular lake of blue waters confined within the walls of an ancient but well-preserved meteorite crater. 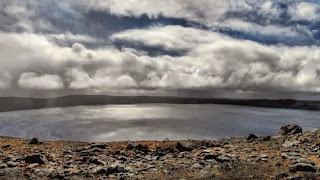 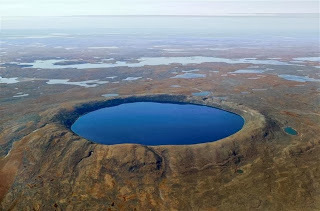 Largely unfamiliar to the outside world, the lake-filled crater had long been known to local Inuit who knew it as the "Crystal Eye of Nunavik" for its clear water. 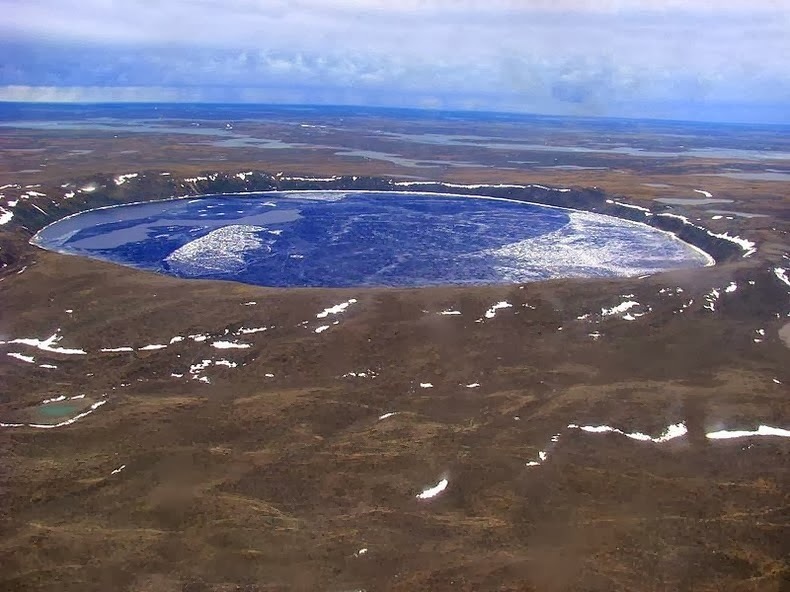 The beautiful lake was first observed by the crew of a US Army Air Force plane in June 1943, who used the lake’s strange shape and color for navigation, but pictures of it weren’t made public until 1950. When Ontario diamond prospector Frederick W. Chubb saw the photographs, he really interested in it, and hoped that this might be an extinct volcano and there was a possibility to find diamonds nearby. 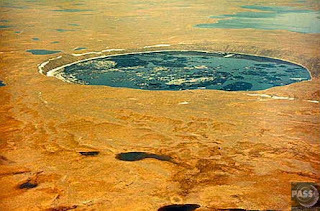 Frederick W. Chubb sought after the opinion of geologist V. Ben Meen of the Royal Ontario Museum, who right away saw the possibility of an impact crater. 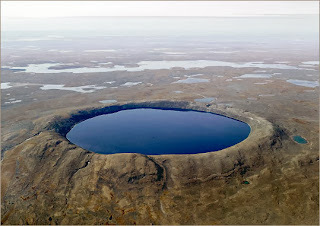 V.Ben Meen organized an expedition to this remote area together with Chubb. 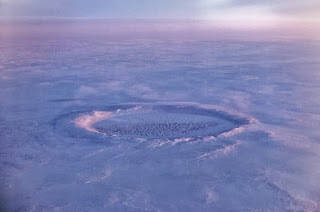 It was on this outing that Ben Meen proposed the name "Chubb Crater". 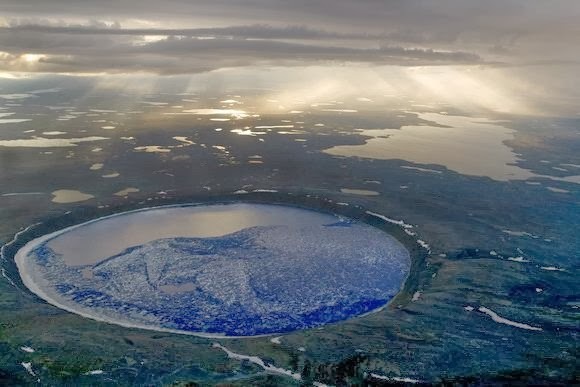 After that Meen organized two more expeditions to the crater, and from the data collected from the site, concluded that the structure was a meteorite crater produced from an impact roughly 1.4 million years ago. 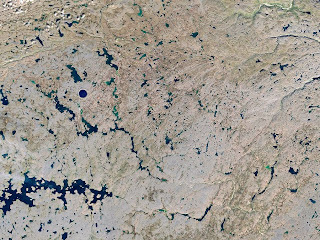 The Lake name was later changed to "New Quebec Crater" at the request of the Quebec Geographic Board. 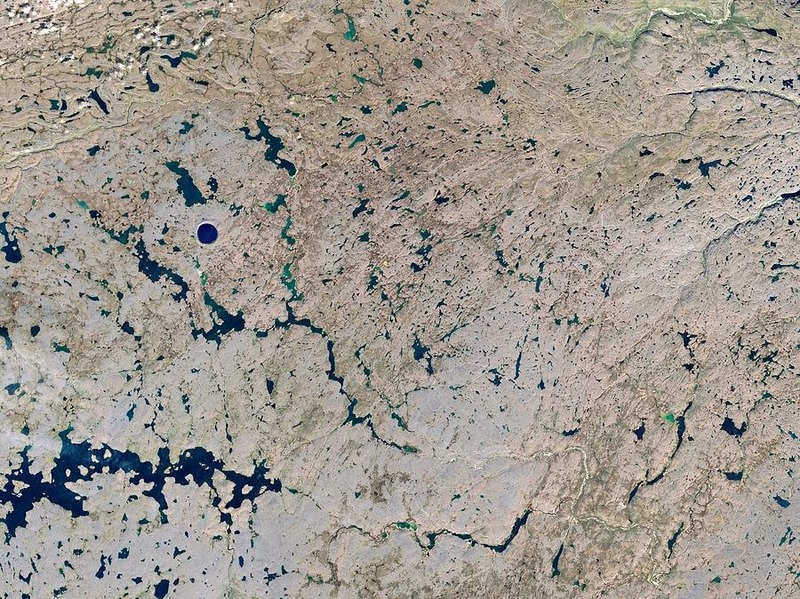 In 1999, the lake name was again changed, to "Pingualuit". 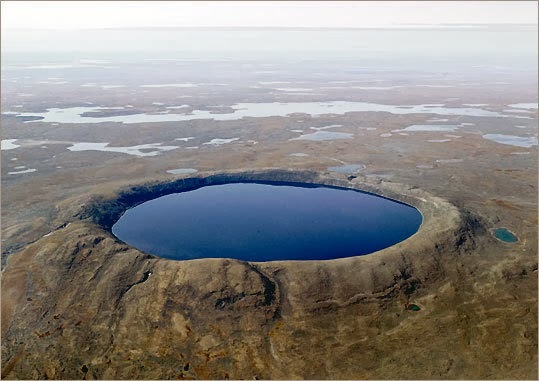 The crater and the surrounding area are now part of Pingualuit National Park. 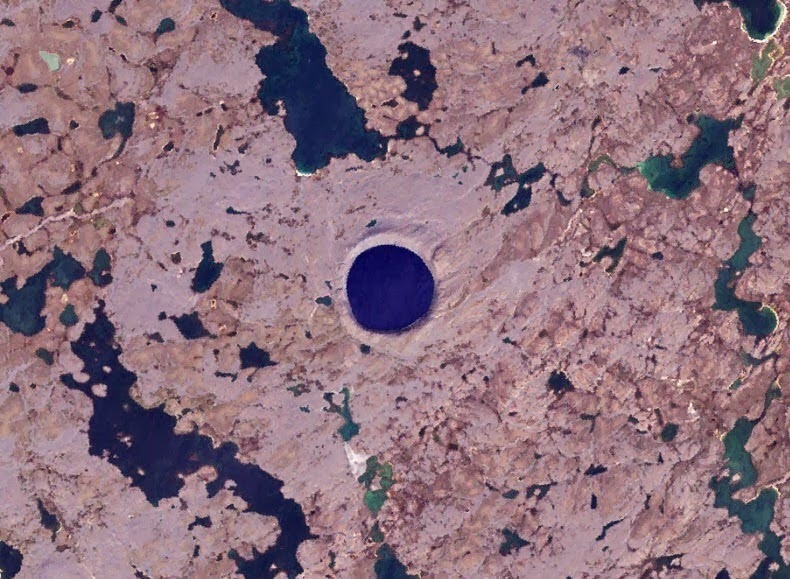 Pingualuit crater is 3.44 kilometer in diameter. 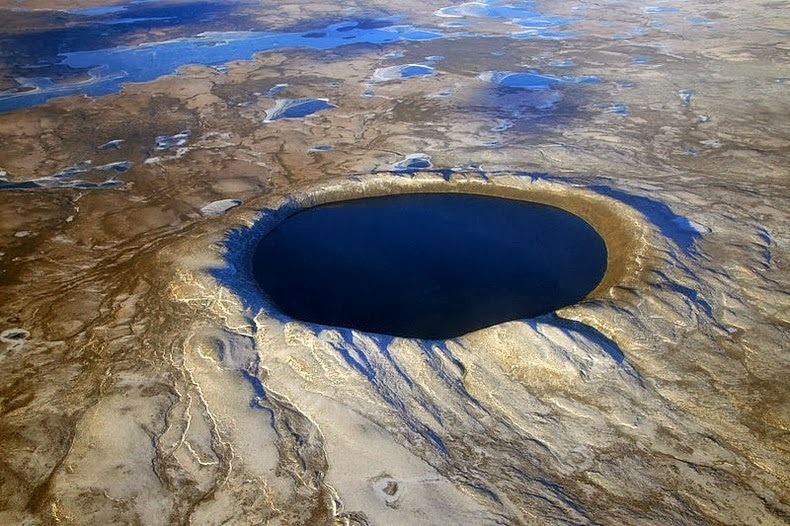 The stunning crater rises 160 meters above the surrounding tundra and is 400 meters deep. A 267 meters deep body of water fills the depression, forming one of the deepest lakes in North America. The lake also holds some of the clean fresh water in the world, with a salinity level of less than 3 ppm. 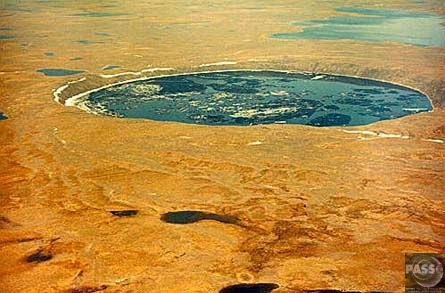 The lake has no inlets or apparent outlets, and water accumulates solely from rain and snow and is only lost through evaporation. 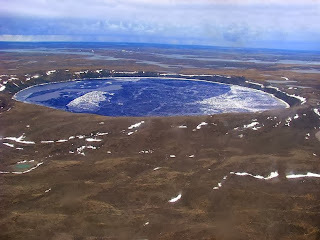 The crater is one of most transparent lakes in the world with visibilities up to 35 meters.